An inspirational love story and a journey through Alzheimer's. Rachel shares her heart and the care partner journey she is walking through. Darrel and Judy's journey through Alzheimer's disease. Living in the moment. Bebe shares her journey of caring for her husband Chris. Living a life of Gratitude and Joy. with some new friends and talk about WTF is going on with our parents?! Then this group is for you!! 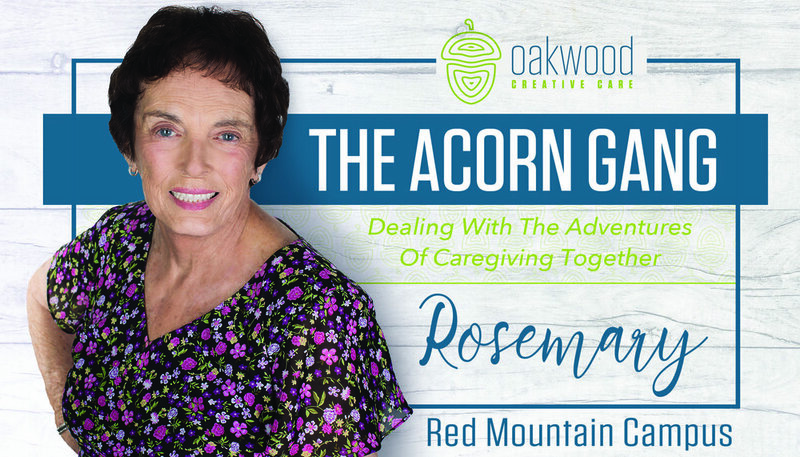 Please reach out to rebecca@oakwoodcreativecare.org for more information.